The 2019 Redshift EXR is the ideal multi-terrain motorcycle — a dirtbike with lights and a plate. Offering more power and capability than ever before, the Redshift EXR will empower riders with the control and confidence to ride faster, no matter how gnarly the terrain gets. The perfect multi-terrain motorcycle needs to offer street legal capabilities with off-road prowess. We created a bike that could be ridden to local trails and then unleashed to flow through obstacles and effortlessly conquer even the most daunting hillclimbs. Impossible to stall and incredibly sure-footed, the EXR offers a unique stealth factor to help experience the off-road world in the purest manner possible as the rider tunes in with traction. Performance profile engineered to line up with 350f race machinery. Similar traits as the Sport map but with more bottom end and traction – it also makes a great starting gate map. 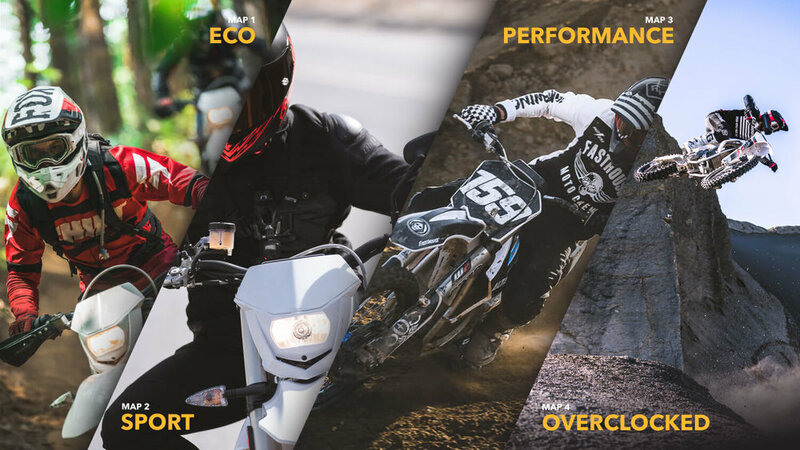 Alta’s new R-Pack battery demonstrates uncompromising commitment to improving the world’s most energy-dense battery systems for high-performance motorcycles. 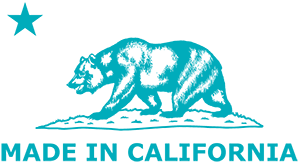 The R-Pack utilizes state-of-the-art cell chemistry that delivers extended full-power range at cooler operating temperatures. 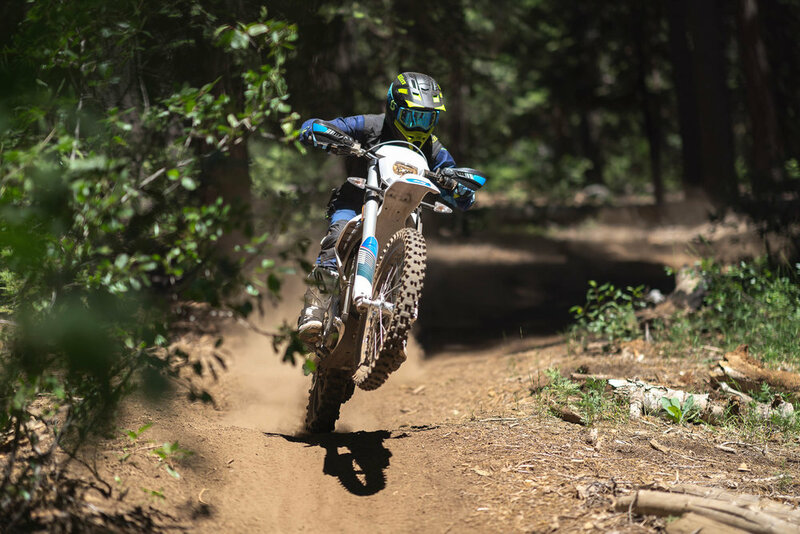 Additional upgrades to the Redshift platform’s firmware and software results in more range, increased power and faster charge times, making the 2019 EXR one of the most capable multi-terrain motorcycles available. Alta’s liquid-cooled 14,000 RPM motor is pound for pound one of the most powerful in motorsports. It is optimized to the narrow width of the Redshift’s bulkhead and is precisely located at the roll center of the bike. This placement coupled with a very low counter-rotational mass allows for the lowest polar moment of inertia in motorcycling - drastically minimizing any gyroscopic impediment to handling. The Redshift's motor weighs 15lbs and puts out 50 HP at the countershaft and pushes power through a 3.5:1 gear reduction to deliver 42 lb-ft of torque from a dead stop at 0 RPM. 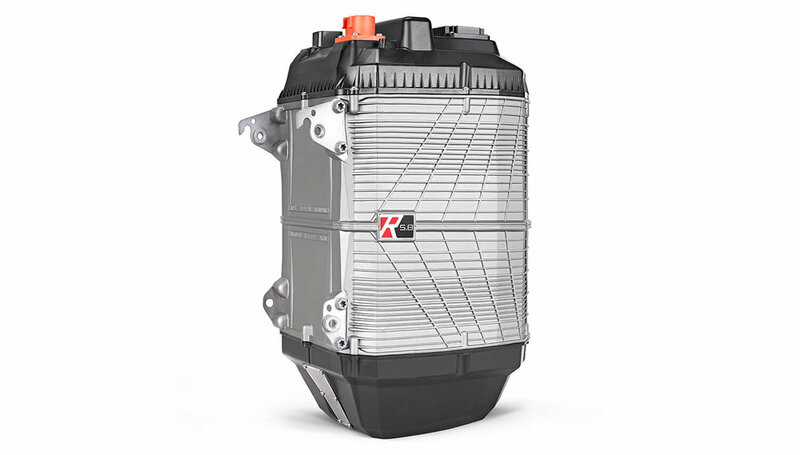 The Redshift Bulkhead—the chassis core—functions as the outer motor casing and the cooling circuit for the motor and inverter, as well as the transmission case for the gear reduction. Additionally, it is the main structural hub, connecting to the rear suspension, the airframe, the forged chassis, and the trellis skidframe. All of this integration is coordinated to achieve maximum strength, minimal weight, and optimal stiffness goals. Since 1973 Acerbis has been producing high-quality plastic bodywork and the company has worked with everyone from legends like Preston Petty to OEM manufacturers such as Yamaha. We're proud to partner with them to ensure that the Redshift’s bodywork meets our world-class standards in durability, quality, fit and finish. The all-new WP XPlor 48 is a split fork developed by WP in close collaboration with Alta. While it has springs on both sides, the damping action is split between the fork legs: compression on the left side, rebound on the right. The forks are easily adjusted for compression and rebound by twisting the individual dials on top of the fork tubes (30 clicks each). 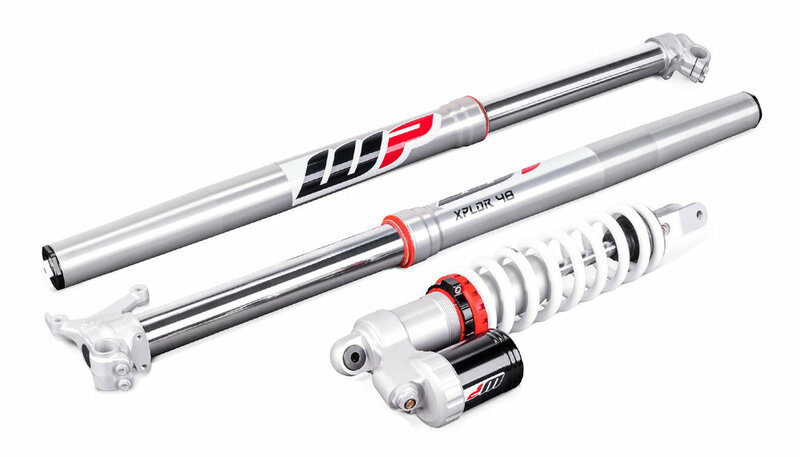 The XPlor 48 forks combine outstanding response and damping characteristics with weight savings over the previously used WP 4CS forks. Brembo S.P.A. is the gold standard for high performance brake systems on motorcycles. Founded in 1961, the Italian company produces a range of products that can be found on motorcycles on the street and the trail. The Redshift MXR employs cast and machined Brembo calipers. Metzeler is a German motorcycle tire manufacturer focused on quality and performance. Metzeler's 6 Days Extremes are the ultimate off-road tire, developed for factory enduro riders for the most extreme conditions.